1 ONLY – these are now out of stock at Jaguar! 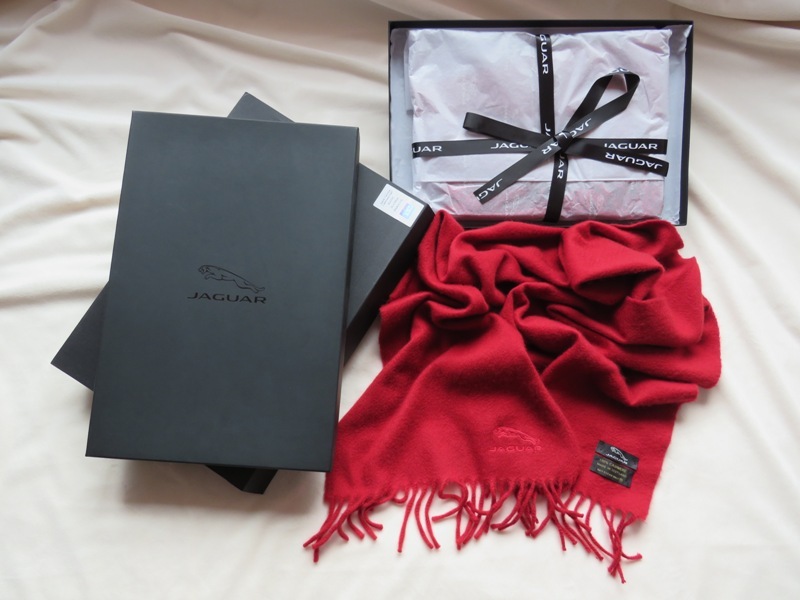 The box contains one scarf only, which has never been unwrapped or removed from the box – it is as it arrived from the supplier. The one shown on the right is for reference only, so that you can see what the scarf looks like, and is not included in the sale.